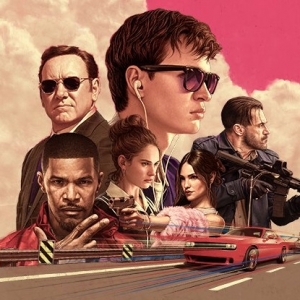 Get in, sit down, shut up and hold on, Baby Driver is the joy ride of the year! 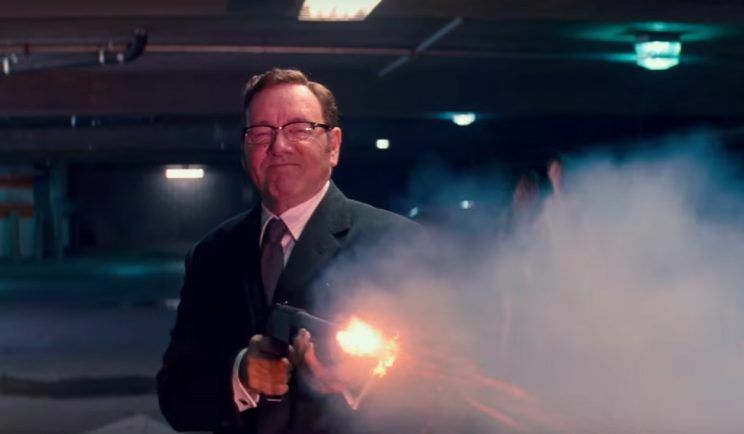 Auteur Edgar Wright, a fan boy favourite for his genre films Hot Fuzz, Scott Pilgrim v The World, and Shaun of the Dead, has stepped up to create a film with strong themes but much broader appeal and it is a masterpiece (in the original sense of the word – this stamps his mastery on film making). It is clever, intelligently funny, well scripted, incredibly acted and with razor sharp timing. 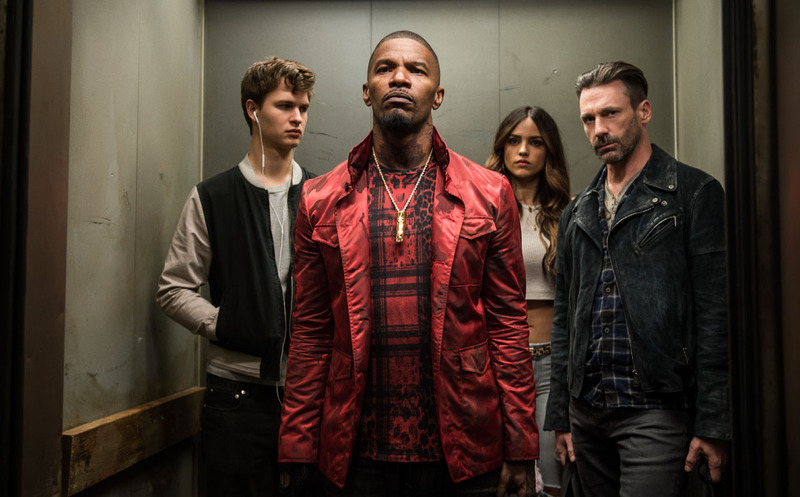 What surprises most given his previous work is how well the characters are drawn, deep, rich, flawed and exceptionally well portrayed by the stellar cast which includes Kevin Spacey, Jon Hamm, Eiza Gonzalez, and Jamie Foxx who all put in excellent performances of their low life alter egos. 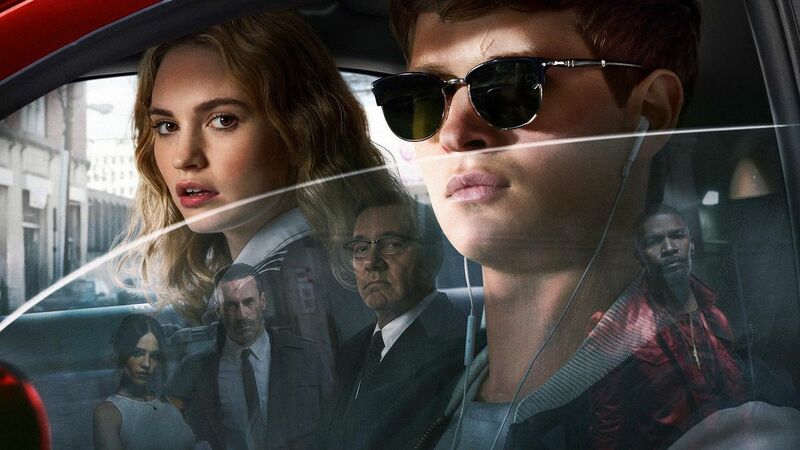 But the real stand outs are the young cast of Ansel Elgort who plays the title role of Baby, a getaway driver and Lily James his love crush who plays Debora. They gel fantastically in a 1950’s style romance danced gloriously in between the action sequences and gives the film a real heart that is reminiscent of the nostalgia resurging in Hollywood (maybe just for good films, I don’t know). It’s a bitter sweet relationship that you just know from the moment she stylistically wafts across the screen in the background, is going to end badly, sadly and with extreme prejudice… Or does it? Best since “The Italian Job”. 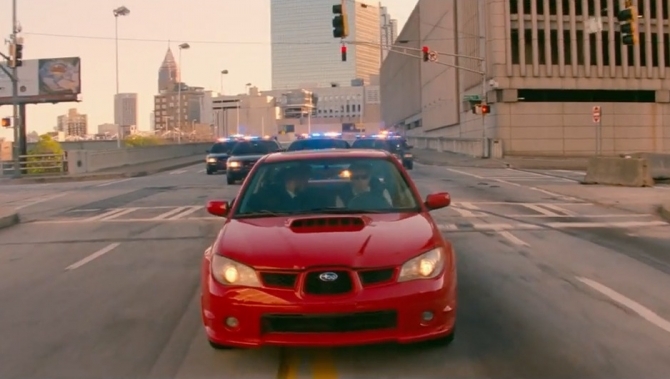 But the centerpieces of this film are the car chases which are the best since “The Italian Job”. For someone like me, with a miss spent youth street racing cars, running from the cops and even scarier local louts they have an authenticity not seen is the big franchises like the Fast and The Furious. And they are wonderfully and masterfully choreographed to a sound track only found in films that are built from the ground up with the aural experience in mind. Wright says this film was entirely inspired by the opening track, Jon Spencer Blues Explosion’s “Bellbottoms” so it’s not surprising. Before you switch off thinking this is a boy’s own adventure not for you, get in, sit down, hold on and shut up (a sticker found on the bumper of many cars in my youth) and listen. The track is engrossing. You can’t help but be entranced and drawn in. Most people could just close their eyes and enjoy it just for the music. The entire film is so beautifully choreographed you have to wonder if there is a single thing that wasn’t the result of detailed and painstaking planning and preparation. Every scene is perfectly cut to the track and not in the jarring, annoying way of modern film making, but in a harmonious, synchronistic style. It’s a brilliant show piece for the talents of the editors Jonathan Amos and Australian Paul Machliss, who keep the characters dancing (sometimes literally) beautifully. The transitions between scenes are always smooth, with subtle repetition of theme that pulls you in like an old, comfy jumper. Wright threads the needle taking us on a multi-paced ride that shows enough of its future for you to know where it’s going but not enough so you are confident of its ending or how it’s going to turn out for everyone involved. It has enough twists and turns in the road (puns were inevitable), light and shade for you to enjoy the process and be caught out without it being jarring. And the characters are deep enough for you to actually care. Even bad, bad people sometimes deserve love. Elgort’s Baby is so understated it’s brilliant. It’s deep and brooding but not in a teen heartthrob way that is wafer thin after a few moments. This is just as well because the other characters are borderline OTT (with borderline being the important word – they are at the brilliant end of richly drawn without falling over into cartoonish. Combined with the fast-paced driving action scenes Baby’s subtleness is the critical factor that makes this film watchable for everyone. Couple that with the blossoming romance and the effect is magic. Ok, it won’t be for everyone, but it’s for a lot of people and this is Wright’s gateway into mainstream Hollywood. It’s going to be a block buster and it’s the type of hand crafted film we desperately need to get back to in this world of entertainment. It’s a joy to watch. Fun, clever, and a master at work. Even the trailer is great!